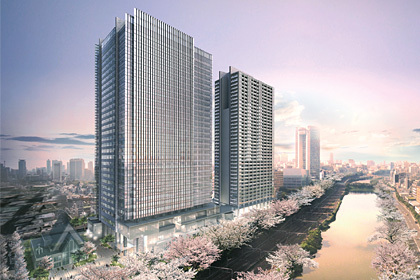 Maeda positions the Iidabashi Station West Exit Area Redevelopment Project encompassing approximately 25 hectares in central Tokyo as the flagship of its environmental management, and has set a goal of zero CO2 emissions during construction. Measures for reducing CO2 emissions include full-scale adoption of 100% biodiesel fuel (BDF 100), a first for a large-scale construction project, resulting in a 50% reduction during construction. We will achieve a zero carbon emissions by making effective use of an offset scheme. 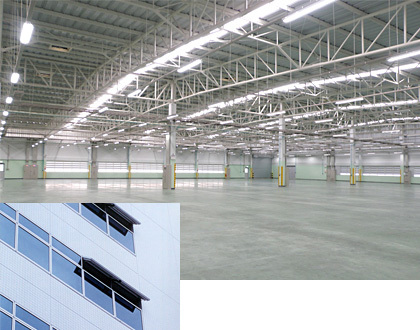 In countries other than Japan, too, Maeda Corporation uses various techniques for enhancing environment-friendliness, such as daylighting to reduce lighting energy consumption and natural ventilation to reduce air-conditioning and ventilation energy consumption, in order to achieve energy efficiency and indoor comfort goals. In the design and construction of air conditioning systems, indoor temperature and air flow are analyzed first, and a plan is proposed, and specifications determined. At the analytical evaluation stage, numerical simulation is used to optimize the configuration and layout of openings and equipment. In the design of utility space, energy-saving plans are developed and proposed on an as-needed basis with respect to such details as steam, compressed air, and air conditioning in production areas. 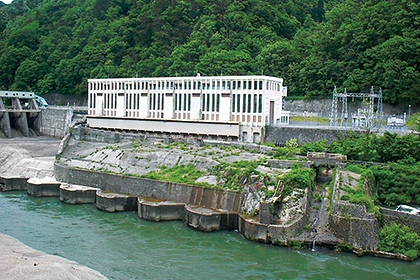 Maeda is making upgrades to the Toyomi Hydroelectric Power Plant that was constructed in Niigata Prefecture in 1929. The objective is to increase power output from 56,400 kW to 61,800 kW without changing the water intake volume from the current 270 m3/s. 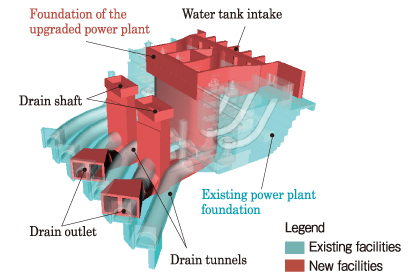 This large-scale and advanced project, which involves construction of two new drain tunnels beneath the existing six drain tunnels, is attracting attention from experts in the field as a pioneering hydroelectric power plant upgrade.